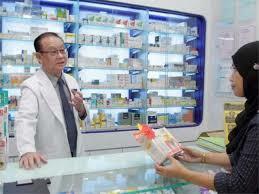 A government panel on Wednesday proposed establishing a system of “regular pharmacists” to manage in an integrated fashion medication for the elderly and other people taking many kinds of medicine. The Central Social Insurance Medical Council, an advisory panel to Health, Labor and Welfare Minister Yasuhisa Shiozaki, decided on the fiscal 2016 revision of medical service fees (see below) and submitted the proposal to the minister. Under the latest revision, more medical service fees would be allocated to clinics that provide high-quality home medical care and to medical institutions that actively support the discharge of patients from hospitals. The new medical service fees will be applied from April in principle. 1. Please explain the current healthcare system in Japan including pharmacy services. 2. One of the issues to be addressed by this proposal is overmedication. What are the other issues that you think should be solved? 3. The ministry predicts the number of elderly people who will self-recuperate at home will increase in the future. It will also permit the opening of medical institutions specializing in home medical care. How do you feel about out-patient and home medical care compared to hospital care?